There is change in the drug market and this was highlighted in a report prepared and presented by the Organisation of American States [OAS] to the 34th conference of the Caricom Heads of Government. 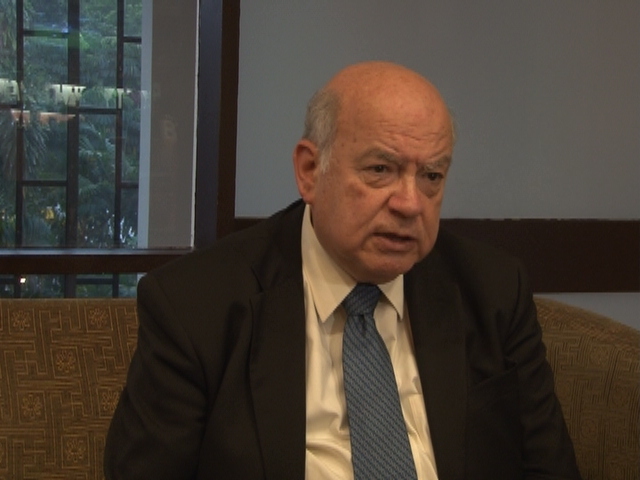 Secretary General [SG] of the OAS Jose Miguel Insulza told iNews after the presentation that the report shows an increase in consumption of drugs in South and Latin America. He said it also shows a significant decrease in cocaine consumption in the United States and although this might sound hard to believe, the SG explained that this is due to the fact that more Americans are turning to artificially manufactured cocaine. But while the consumption pattern is of the least concern to the Caribbean community, given the fact that the rate of consumption in these countries are low, the problem for Caricom remains the violence and other negative spin offs from the movement of the drugs through this region. The OAS report confirms that the money is being made at the end stage, which is in the consumption, while the violence is being experienced in the middle and sometimes at the start of the trade, meaning mostly in the trafficking zone. Insulza said the report is very frank and that it is now up to the leaders to take its findings in good stride and work to strengthen their institutions to fight the trade and the concomitant violence and other adverse effects. He reminded that the adverse effects and violence affects the lower end of society.